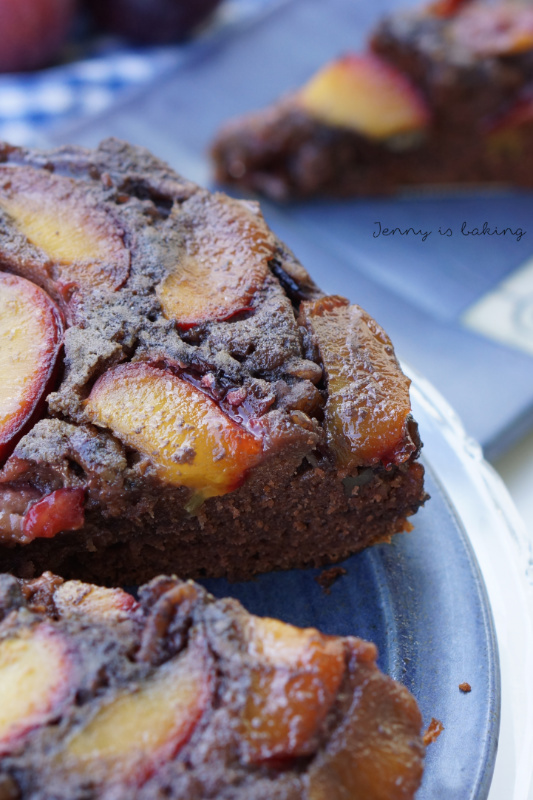 Have I ever mentioned that I love desserts that sound complicated, but are easy to prepare? This one is most certainly one of them. 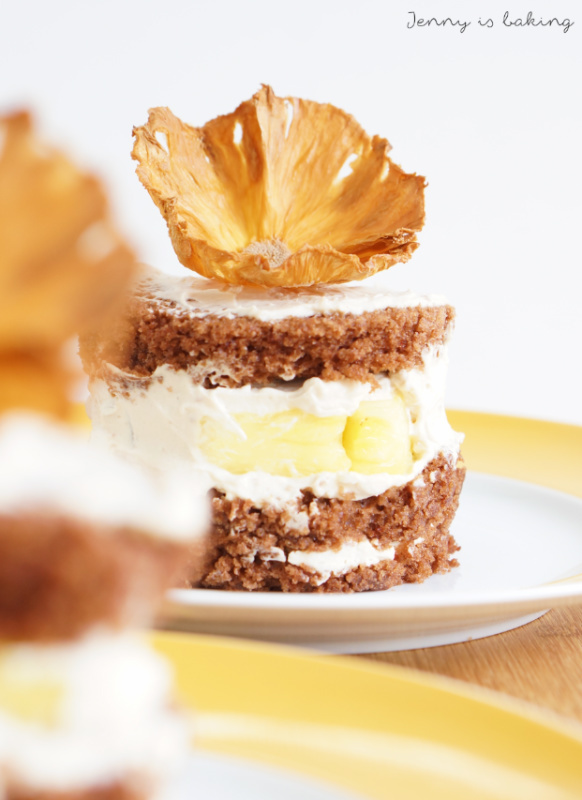 Welcome to Pineapple Mini Cakes with Mascarpone Cream, so delicious, yet fairly easy to whip up. The dough is based on my favorite chocolate cake, whipped up within five minutes. You really just throw all ingredients into one bowl and stir it. Literally five minutes. 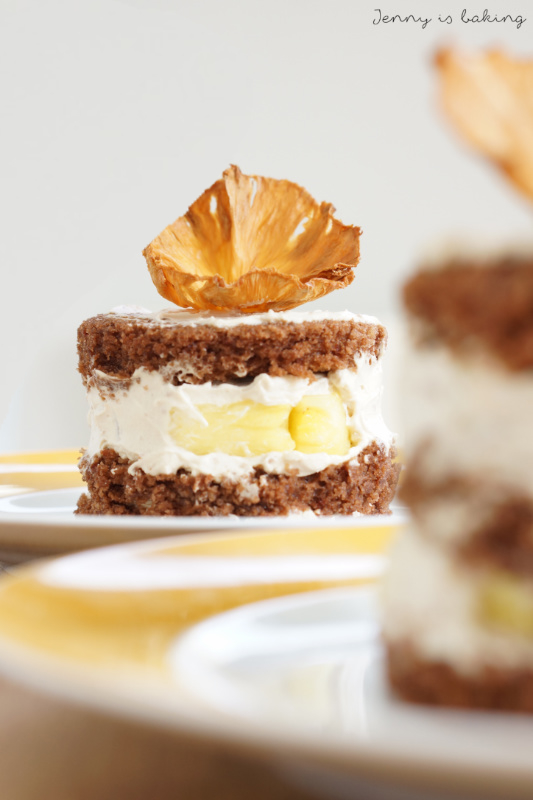 The mascarpone cream has a nice cappuccino flavor and then of course the pineapple flower on the top makes this dessert stand out. The only downside is that the pineapple flowers take a while to dry, but that’s the only thing you will have to wait for. Other than that, it really is much simpler than it looks, believe me. So how about impressing somebody with these mini cakes? For the pineapple flower decoration skin pineapple tickly. Cut lengthwise into one third and two thirds. Slice the one third into paper-thin slices. Place slices on a baking sheet lined with parchment paper and bake at 100 degrees Celsius for one hour. Turn slices and bake for another hour. Once done, squeeze each slice into a muffin tin and let cool completely. Cut cubes from the remainder of the pineapple. Set aside. For the chocolate batter pour all ingredients into a large bowl and mix with mixer until evenly brown. Batter will be thin. 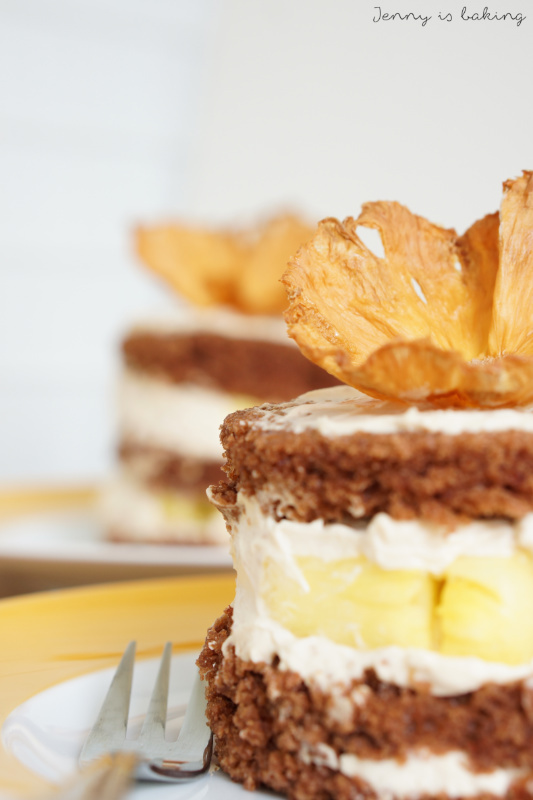 Preheat oven to 170 degrees Celsius with circulating air and line two baking sheets with parchment paper (feel free to reuse the ones from the pineapple flowers) and pour batter thinly on both. Bake for about 20min. Inserted toothpick should come out clean, bake longer if need be. Take out the oven once done and immediately cut mini cakes (about 8cm in diameter) while still warm. If cakes are very thick, cut lengthwise. Set aside. For the cream whip heavy cream and fold in mascarpone and instant cappuccino powder. Set aside. To assemble mini cakes take one chocolate circle and spread cream, place another chocolate circle on top. 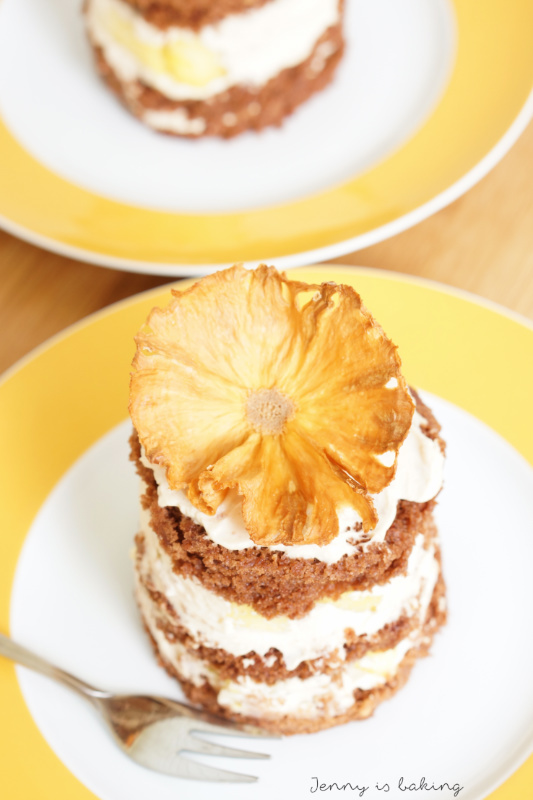 Spread cream on top and place pineapple cubes on top of the cream. Again place a third circle on top and spread some more cream. Place one pineapple flower in the center. The pineapple flowers can be made a few days in advance and keep nicely in an airtight container. The leftover chocolate dough can be easily be used to make cake pops. If you don’t like cappuccino flavor, you can simply omit the powder and replace it with sugar or other sweeteners. Das sieht großartig aus, danke für das tolle Rezept und die mehr als ansprechenden Fotos! Danke für das Kompliment! Sind wirklich gar nicht so schwer und schmecken toll.